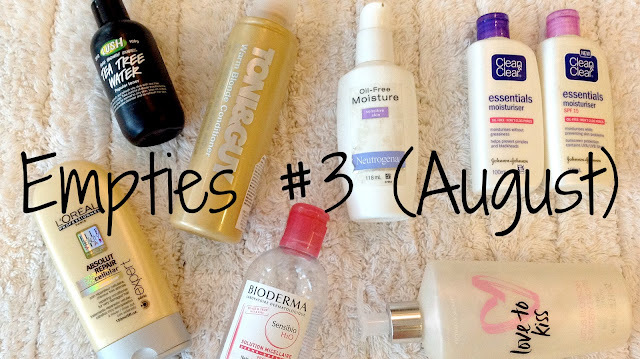 Today's post is on some products I've been using this past month or so. 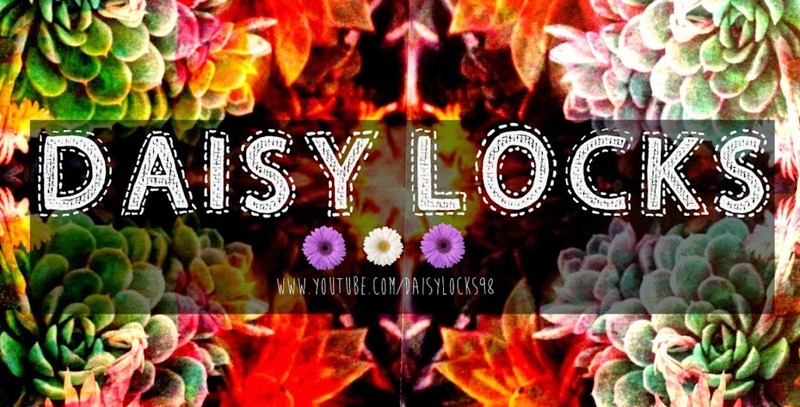 This product has definitely had its limelight amongst the beauty blogging community. Whether or not it deserves it is a question many people ask. Yes, it's expensive, but it's also very much effective. Especially if you're lazy or running low on time. And those two factors generally sum up my school mornings. 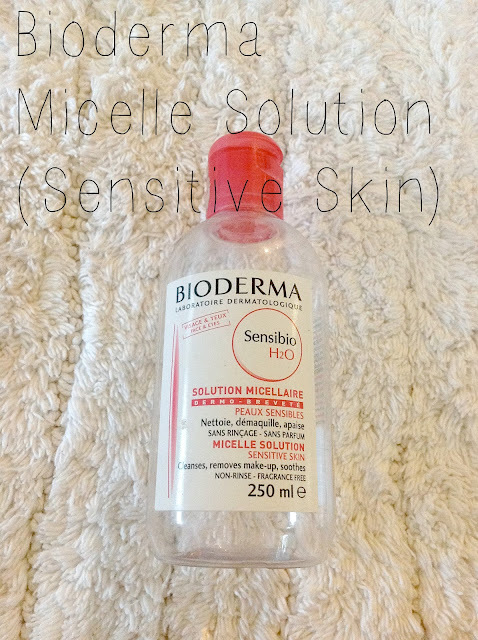 Micelle solutions have been circulating around the beauty brands for a little while now, and from reading a wide varieties of reviews on them all, it seems that Bioderma is amongst the best. I love it because it's quicker alternative to washing your face, and just as effective. It efficiently removes all traces of makeup, and cleans up all the gunk off your face. It claims to "soothe" your skin also, however I can't comment on that because my skin doesn't tend to get irritated by many things. It doesn't have much of a scent, and as irrelevant that may seem, it tends to be something that gets taken into consideration for many people to decide whether or not to repurchase. To save my babbling, and if you would like to read a further, in-depth review, click here. I'm putting both these items under the same title because really, they are the same. The only difference is the lower one contains SPF. 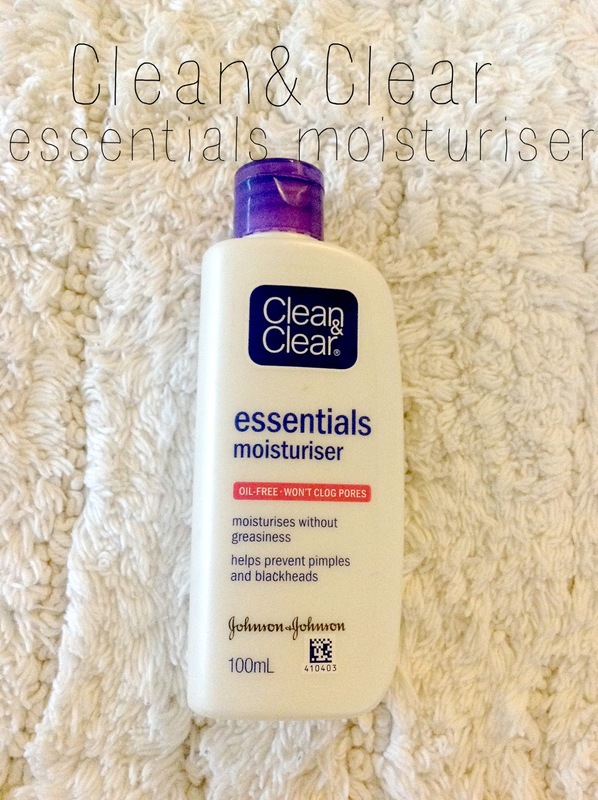 This is one of my absolute favourite moisturisers, and one of the very firsts I've used. 1. How light it is. 3. How it contains Salicylic acid. Perfect for those battling acne. Plus, salicylic acid is a natural exfoliator. 5. Doesn't clog your pores. I've been very disappointed with this product. It wasn't overly expensive, however it wasn't worth the price I paid. I bought it, expecting it to repair my dry, breaking hair. I'm not saying it didn't do that, but it didn't do a very good job, and it took a very long time for me to see any results. It smells a little funky too, but the formula is okay. Many of us out there aren't a fan of wearing body lotions through the day. I'm one of those people, but my skin is very dry, so I wanted to change this. I was very lucky to have picked out this lotion to begin use as a "during the day" moisturiser, as it was such a pleasant start. 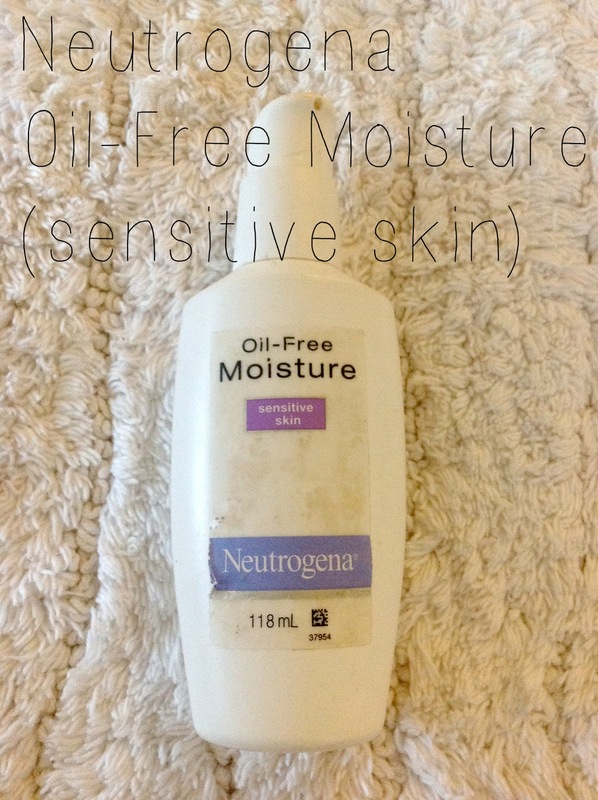 I wanted a lotion that not only moisturised and made my skin feel softer, but have the addition of a nice fragrance. Of course, when I was looking for this product, Victoria Secret's body lotion was the first to come to mind. This one is amazing, and smells like summer. It's a light, floral cross fruity scent, but isn't overly sweet. The formula is great, and isn't overly greasy. The pump bottle is nice too, but this means travelling is a pain. 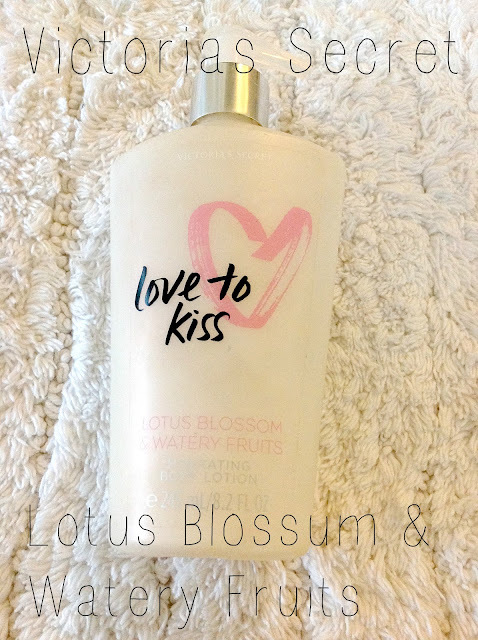 All in all, I loved using this body lotion, and will be buying it again. I love me some lush, but this is the only product I've ever purchased. Thats very strange of me, but I can smell a lush store from a mile away, and when I do...I'm going straight to the source. I always leave lush shops feeling happy but also a little sad that my wallets so empty. After using this toner however, I'm now more inclined to buy something else. 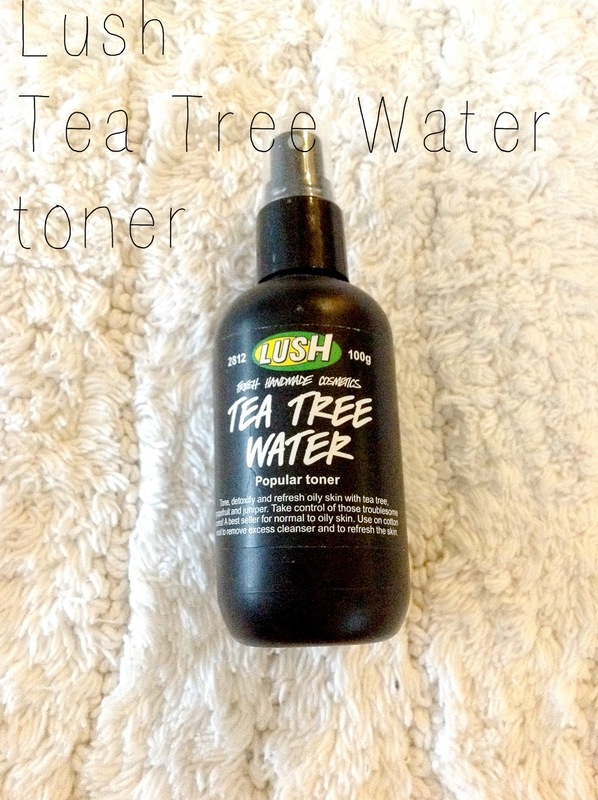 This is the Tea Tree Water toner, and being the toner junkie I am, I instantly felt as if it was my duty to try it out. It's smell is nice and very refreshing, and it works great. When I was using it, I noticed how my skin was a lot less oily, and when I suffered from a breakout, they were less angry. I was very pleased to have had another great start to a product line. I bought this moisturiser after being prescribed an acne gel from my doctor that contained benzoyl peroxide. Any uses of the stuff will most likely understand what I went through upon my first time of using it. My skin was overly dry, extremely tight and sore as well as being irritated by all the products I had been using daily for years. I discovered a lot of those products contained salicylic acid or other items used to prevent and stop acne, and this was something that the packaging said to not be using while on the gel. I then went on the lookout for a good, inexpensive moisturiser that wouldn't irritate my skin and didn't have any harsh chemicals. I found this one in Woolworths, and loved it. It's the sensitive skin formula, so I really struck gold here. 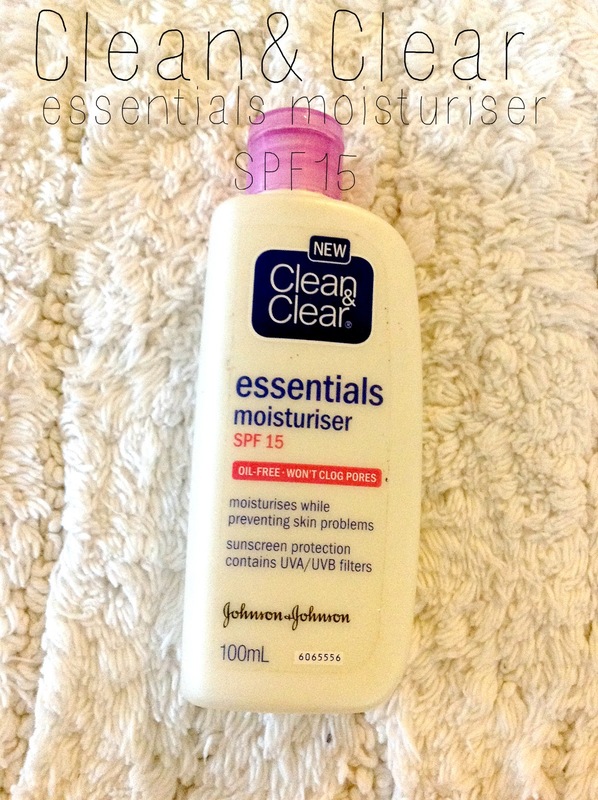 It's very moisturising, but also very light. It isn't in the slightest bit greasy, and is an amazing base for makeup. I believe - remembering here that my memory is shocking - that it was a little overpriced for a drugstore skin care product, but believe me, it was worth it when my skin was in such pain. Tony&Guy has been a line I will tend to go to when I need something specific. 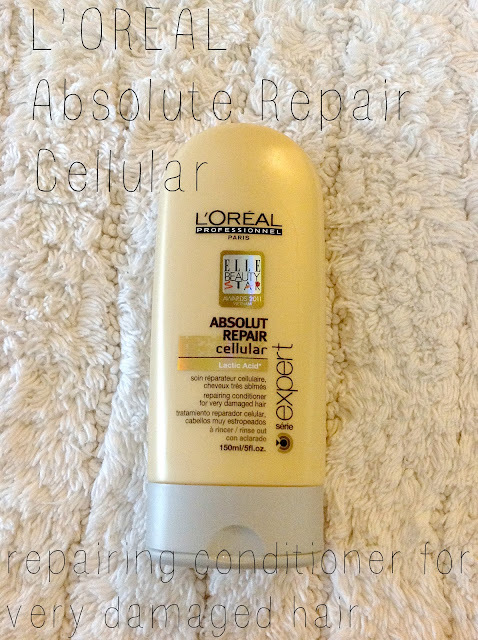 my hair is unfortunately very dry and very dull, so I was looking for something that would fix both those things. 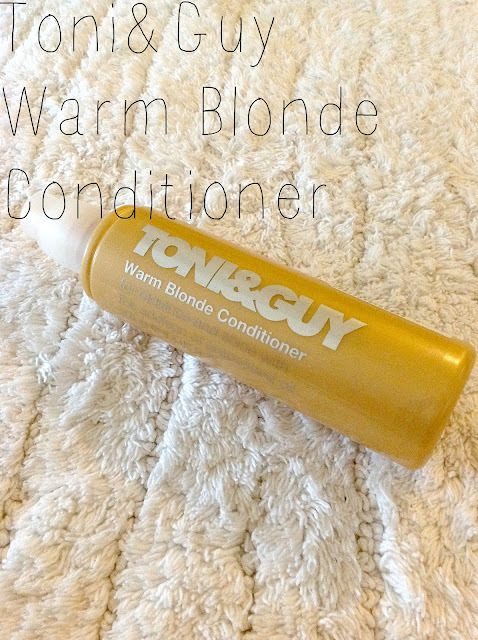 I found this conditioner in my local supermarket for around $10, so I decided to give it a go. I saw a difference within two to three weeks of using it, and was very happy with the results. It doesn't do any extreme dyeing, but it does lighten your hair, and make it a tad less brassier. It didn't do an amazing job at helping the dryness of my hair, but it did improve its softness. I recommend this to anyone looking for a conditioner to do some minor "hair colour improving" (great wording). ♡Repurchase? already have, and will continue to do so. That's it for now folks! I hope your are having or had a lovely day, and I'll see you in my next post. And while you're at it, check out these other platforms you can follow me on! Wish Lush's tea tree toner worked for me, it had no affect.. strange! And the Lush's toner didnt have as great as an effect like some others have but it loved using it. Fun experience.